Picture a majestic mountain, covered in a thick blanket of white, being the first thing that you see in the morning. As you take in the exquisite beauty of the scene, your breakfast is served to you in bed. A fine gourmet meal prepared by your very own personal chef. As you snuggle back into your comfy bed, you ponder on whether you should go relax at the serene spa or hit the pistes. You inhale deeply and savor every moment. These are luxury ski chalets at their finest. 2019 will be a great year for skiing enthusiasts around the world. 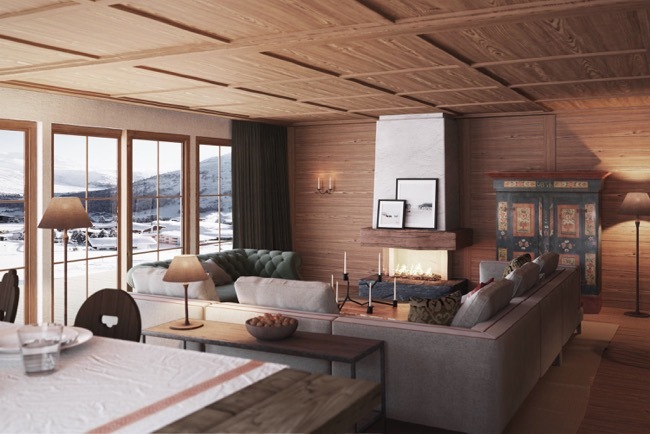 Oxford Ski are pleased to announce brand new chalets that have been handpicked by the leading experts in the skiing industry to fulfill your dream of the perfect ski getaway. Chalet Sapphire is located in the tranquil market-town of Morzine. While being secluded and private, it is only a five-minute walk from the bustling centre of Morzine. The chalet sleeps 12 people and is fitted with fantastic facilities such as an extensive spa, cinema room, and an indoor pool. There is also a boot room with live piste webcam so you don’t miss out on any of the action. Your personal chauffeur will accompany you on a two-minute drive to both the Super Morzine and Ardent ski lifts. You are also just a five-minute walk away from non-skiing activities such as ice skating. Two stunning master suites with huge ceiling heights to take in the Morzine valley, a dining room set around a large handmade Balinese teak table, and an open show kitchen are all truly the stuff of dreams. This traditional alpine luxury ski chalet has amazing views overlooking Lech and the mountains. Able to sleep up to 13 people, a full-service experience is just waiting to be had here. The fun starts from the get-go here as it is ski in and ski out. Chalet Mimi is scheduled to open in October 2018. Méribel is a beautiful ski resort in the Tarentaise Valley. Being a mere 8-minute drive to the Olympie telecabine at Les Allues, it is the perfect place for large gatherings of people that enjoy skiing. Chalet Iona can sleep up to 19 people and you have access to over 650k of piste in the gorgeous Les 3 Vallées. The French really know how to make you feel at home. This stunning chalet in St Martin de Belleville can sleep up to 12 people in the six spacious en-suite bedrooms. Chez Bugi is located on the piste and you will go in and out skiing. This luxury hotel was a lift station before. Located in the scenic Val d’Isere, it is the highest altitude hotel in the entire country at 2551m. There are 34 large bedrooms that will offer you immersive 360views in the three spacious apartments. This hotel has 250 rooms that offer three and four-star accommodation. There are several restaurants and live entertainment venues nearby and is a ski in ski out location. The La Folie Douce Hotel in Chamonix will open its doors in December 2018. This hotel is situated in Snowmass which is a part of the Aspen/Snowmass ski resort in Aspen, Colorado. With a contemporary setting, this ski in ski out hotel has 99 luxurious rooms and 11 unique residences. These are just 7 of the latest additions to the already extensive 500 chalets in 7 different countries. Whatever your needs are, rest assured that Oxford Ski will find the perfect place to host you. When you book your dream holiday in one of our luxury ski chalets or hotels, The Oxford Ski Company treats you with a complimentary concierge service that will cater to your every need. The team handles everything from food, accommodation, and childcare, to ski instruction and entertainment. Everything will be tailored to suit you personally.